Rubbish, recycling and garden waste was not picked up from 59 Thanet roads this week. Hundreds of properties were missed from collections on Wednesday, Thursday and Friday. 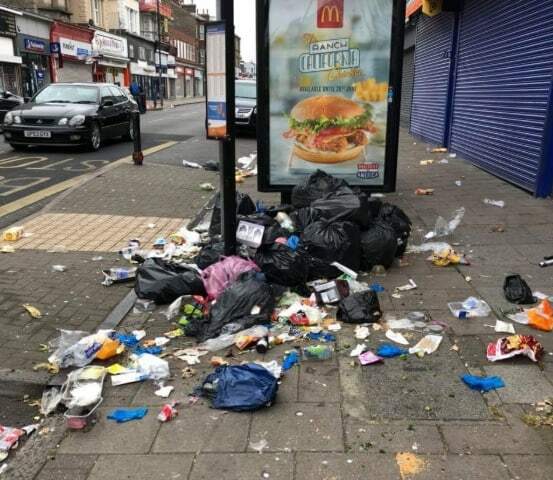 The failure to collect comes in the same week that Thanet council said it would be reminding residents of their responsibilities after an outcry over mounds of rubbish strewn all along Northdown Road in Cliftonville. The filth was highlighted by angry traders and a new twitter account, Filthy Thanet, launched in response to the mess. Residents in the road are unable to have plastic bins due to space restrictions, meaning bags are often ripped open by seagulls. 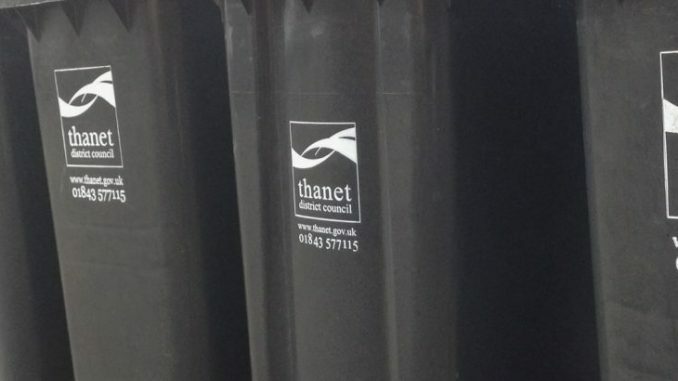 Thanet council said seagull-proof bags are provided and need to be used and that businesses on the road would be visited and any not meeting required standards would be issued with a penalty notice or charged under the environmental protection action 1990. The trader behind Filthy Thanet hit back, saying: “It’s an absolute violation of public health and safety. Why would residents deliberately make a mess outside their own properties, attracting rats, foxes, seagulls? Why would businesses want to do the same? It’s a ridiculous excuse for the council to blame residents. The mess was cleared by TDC workers and industrial wheelie bins put in place. Although there is no explanation for the missed collections the council states: “We will return to these roads as soon as resources allow. Please leave your bins at the boundary of your property until collections are completed. Missed recycling collections will not be picked up until their next scheduled date. There is a problem with anti-social people who find securing their rubbish in Sea Gull Proof Bags baffling, either that or they deliberately fail to secure their filth, and in many cases continue to put it out in flimsy black plastic bags! It only takes one black plastic bag to be ripped open by vermin, to make a road look like a 3rd world tip! Lets face it, there are many roads in Thanet where bins can’t be used, so Red Bags for paper, and Blue Bins are used instead, plus Sea Gull Proof bags! These have been a disaster from the word go, because there is an anti-social element who refuse to use them properly! Just recently I saw 8 plastic bags outside a house, being ripped open by vermin, how can anyone have 8 bags of rubbish in a week? Its time to rethink this: perhaps the Spanish idea of placing large rubbish bins on every road, which are emptied daily so that people can put their excess waste in them, may help, but I doubt it. Its largely an anti-social problem, because people seem to enjoy living in their own filth and squalour, like the Middle Ages! The filth in the bottom Filthy Thanet photo above happens every Sunday afternoon by a man who has been fined before for flytipping. He couldn’t care less and continues to dump his black sacks whilst the gulls are tearing them open, he lives at Papa’s Fish and Chips shop. It has been reported but no enforcement action is taken anymore. The same roads have been missed for the second week in a row!! !